two90 Construction Group is your storm damage expert. Texas storms bring high winds, heavy rains, and hail which can cause serious damage to your roof. Sometimes the storm damage is visible and obvious; at other times it remains hidden and will require a thorough inspection to be identified. Our team of experienced roofers knows what to look for and will help you inspect your roof after a storm to determine if you need repairs. After a serious storm, it’s vital to have your roof and home inspected in order to determine if there has been any damage. Don’t let small issues go unnoticed now and turn into big problems later. Storm damage caught early can often be quickly and easily repaired. An experienced member of our team will thoroughly evaluate and inspect your roof for storm damage. After the inspection, we will provide you with a free repair estimate. Treating storm damage as early as possible will help to protect your warranty, and extend the overall life of your roof. We are your start-to-finish general contractor. 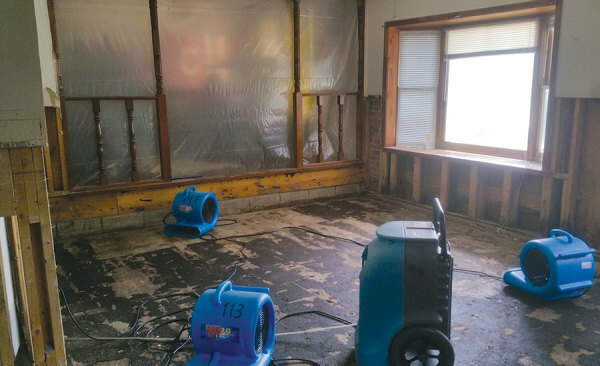 We provide turn-key flood remediation through our partnership with a remediation firm, immediate demolition and dry-out service, and full remodel back as it was or even better. Our remediation partner uses advanced drying equipment and techniques to properly restore your home after a water damage event. This removes water, even hidden moisture, then they clean and sanitize for your comfort and safety.